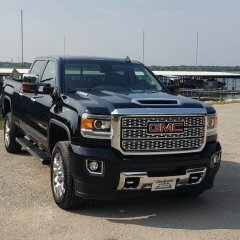 I am looking at replacing my factory 20 inch rims on my 2019 Sierra SLT. I want to keep factory tires 275/60/20. What size do I need to look for to fit over brake calibers? Will 2018 Wheels fit on a 2019? So adding a spacer will allow you to install older gm rims? Any drawbacks to adding a spacer? Added it to mine as well yesterday. No difference in ride. 2 inch level from ready lift. Is this the same ones as the pictures you posted drucker? Now that is what I am talking about. Keep us posted. I wonder what the measurements are on these pieces? 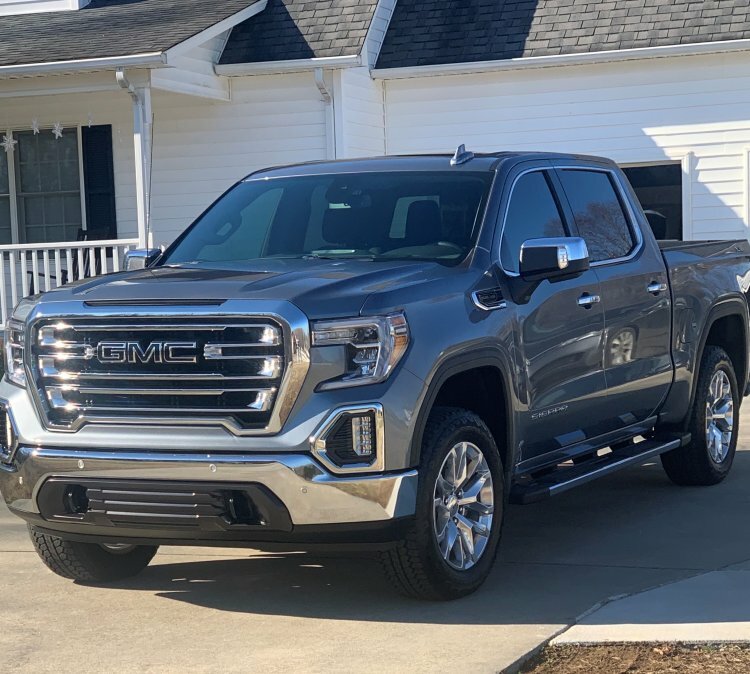 Wonder if Sierra and Silverado 2019’s have same door measurements because that look in picture is what I want. 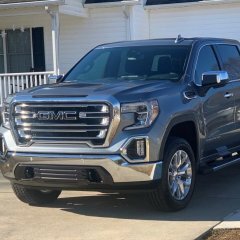 I am not a fan of step bars and would really like to take my step bars off my 2019 Sierra. Problem is that its the only door protection you have from door dings. 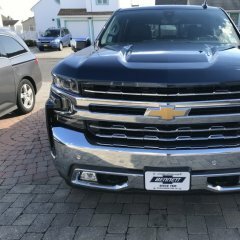 I wish someone could make some chrome door trim for the 2019's. I do realize the SIERRA emblem on side door would have to come off though. Hate to ask this but do you know the part number on the center caps on this rim? I have the exact rim but can't find a center cap to fit correctly. Now that you have had tires for a few weeks how do you like them? What was the MPG hit if any? I own a 2009 SLT Sierra 4x4 and it is tire time. The dealership put the 2 inch leveler in the front. I am trying to decide which tire will fit and which tire will look the best on my truck between 285/65/18 or 275/70/18. I am looking at the michelin ltx a/t2 tires or bfgoodrich. Most of my miles are hwy miles but I do want a somewhat aggressive tire look. Any suggestions?